Do you have an older boat, motorcycle, or RV that's interior has seen better days? Bring it to the experts at Cy-Fair Upholstery & Glass and select brand-new upholstery material to give your ride a face-lift. Whether you need boat upholstery in Houston, TX, or a complete replacement of your RV upholstery, our skilled team of professionals can handle the job. Get in touch with our friendly and knowledgeable staff to discuss your needs or schedule service with a professional. We work on all types of upholstery and vehicles, so you know we can provide a great new look for your vehicle. Whether you have a small ski boat or a large houseboat, our expert technicians will reupholster your boat's interior meticulously. We have extensive experience redesigning boat interiors with high-quality, durable materials. When it comes to repairing and replacing boat upholstery, it’s important to leave the work to the professionals. We make sure your new upholstery is water-resistant, properly fitted to your boat, and sure to last for many long years. Whether you prefer a vibrant color scheme and intricate stitching or a basic neutral color that simply does what it needs to, our upholstery company provides everything you need to enjoy a functional and stylish vehicle. Do you have an RV that could use a little TLC? Our company will renew your recreational vehicle's interior with long-lasting fabric to make your next trip stylish and cozy. New RV upholstery adds a beautiful, personalized touch! When it comes to RV interiors, there are many options regarding colors, textures, fabric materials, and stitching styles. Our upholstery experts will sit down with you to discuss your needs, budget, and taste in-depth before deciding on an upholstery style so you’re sure to get precisely what you want. From bright and vibrant colors and plush textures to soft, neutral tones and durable materials, we have a full variety of fabrics to make your RV feel like home. Is your motorcycle seat looking worse for wear? If you often take your bike on long rides or if you have an older motorcycle, reupholstering the seat will ensure that your bike is comfortable. We have a wide variety of fabrics in brilliant colors and patterns. Our technicians can also add a custom seat built specifically for you. When it comes to motorcycle seats, it’s important to choose an upholstery style that is both comfortable and stylish. Our motorcycle upholstery experts can help you find that perfect balance between comfort and durability so your motorcycle seat will serve you well for many years to come. 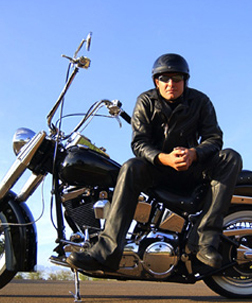 If you put a lot of miles on your motorcycle, having a comfortable and durable seat is especially important. We have many fabrics that are durable as well as soft, so it’s easy to choose an upholstery type to suit your needs. Reach out to our skilled and knowledgeable experts to discuss your needs and schedule a consultation. Call Cy Fair Upholstery & Glass today for a free estimate or stop by to look at samples of our premium fabrics. We proudly serve customers throughout the greater Houston, TX, area, including the surrounding areas of Cypress, Jersey Village, Tomball, Spring, the Woodlands, Mission Bend, Cinco Ranch, and Katy.